Yesterday, we reported that Apple had released a tweaked version of iOS 5.0.1. The purpose of the tweak was unknown until just recently today. The new version arrived as Build 9A406, and apparently fixes the ‘No SIM Card’ error. 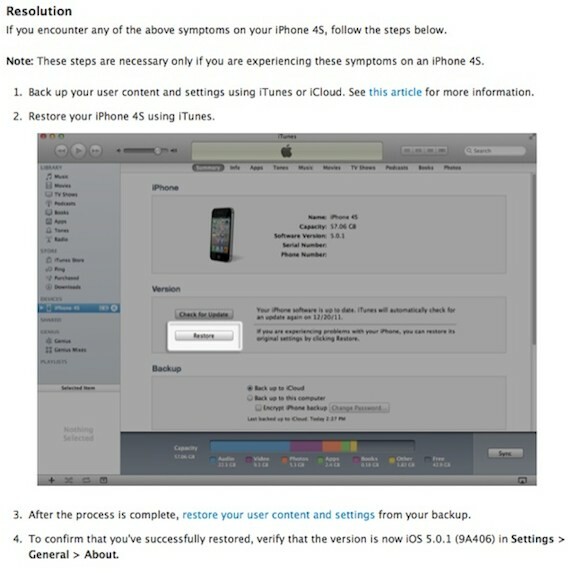 Here is a support page that recently surfaced on Apple’s website which seems to explain the update. 1. Back up your user content and settings using iTunes or iCloud. See this article for more information.